Do You Want To Buy Broward County Investment Properties Up To 50% Below Market Value? We sell Off-Market property for pennies on the dollar! Rock Bottom Prices Guaranteed! Enter your e-mail below to get FREE and EXCLUSIVE access to the HOTTEST real estate deals. Want to buy off-market investment properties in Broward and Fort Lauderale Below Market Value? We find discounted property in Broward. You get wholesale deals at rock bottom prices, whether its fix-and-flips or turnkey rentals. Our properties are NEVER on MLS. Are you looking to buy investment properties in Broward County and Fort Lauderdale below market value? Want to find off-market properties for sale at pennies on the dollar? Get exclusive access to the hottest real estate deals for free? If you’re tired of wasting time trying to find good deals, you’ve arrived at the right place! House Heroes brings off-market wholesale deals directly to you at rock bottom prices. You get to view and buy houses, condos, apartments, and vacant land without competing with thousands of MLS buyers. An investor looking to add cash flowing properties to your rental portfolio. A rehabber looking for great deals with wide margins to fix and flip for profit. A seasoned or new landlord looking for turnkey properties. Just looking for the hottest real estate deals in Broward County. Ready to see Broward and Fort Lauderdale off-market investment properties for sale at a fraction of market value? Join our exclusive VIP Buyer List today! Don’t miss out on our wholesale deals! 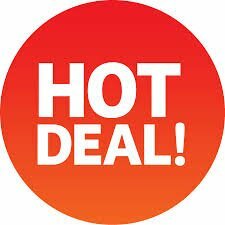 Want free access to the HOTTEST real estate deals? Just enter your e-mail below to join our exclusive VIP Buyer's List. We bring off-market investment deals directly to you. Don't miss out on our discounted deals! If you’ve been in the real estate industry, you know finding a hot deal is next to impossible . . . Wondering how we consistently bring you below market price deals? We stop at nothing to bring you the best real estate deals in Broward County. Direct-Mail. We’ve been connecting directly with motivated house sellers via direct-mail for years. Our large-scale postcard and letter campaigns target tax delinquent, probate/estate, foreclosure, out-of-state owners, expired listings, and property violation prospects. Search Engine Optimization. In today’s world, real estate sellers start the process online. Our website is powered by links on major sites including Forbes, Investopedia, Reader’s Digest, among many others. It loads fast with lots of opportunity to keep click through and reduce bounce rate. In short, we capitalize on best SEO practices to connect with owners searching to sell on Google, Bing, and Yahoo. Paid Online Advertisement. Facebook, Google Adwords, Bing, Yelp. House Heroes runs paid online ad campaigns throughout all channels to make sure we connect with all motivated home seller prospects. Our paid accounts have been running for years and are optimized lead churning machines. Direct Outreach. We don’t stop at sending a mail piece to motivated owners. House Heroes utilizes proprietary services to obtain all contact information. Whether it’s a phone call, e-mail, or text – we don’t rest until the lead is contacted. Networking. House Heroes has been wholesaling for years. Our network with investors, wholesalers, agents, and other real estate professionals runs deep. We also bring off-market deals from our colleague. 3815 Lambert Ave. This single-family house in need of massive repairs – perfect for a rehabber ready to fix-and-flip. The motivated seller contacted us via direct-mail as part of our large scale probate direct mail program. We sold it to an investor who made over $50,000 flipping the house! 3000 NW 21 Court. The owner contacted us after finding us online. He was tired of renting, lived out of state, and was “done” with the property. This house was turnkey with a tenant paying $2,000/mo in rent. The investor purchased from us nearly 30% below market value – even though it was in great condition. Cap rate well over 12%. Off-Market Deals. Want deals without competing with thousands of buyers on the MLS? Our properties are absolutely never listed on the MLS. Joining out buyers list gives you the “secret” deals most people never know about. Pennies on the Dollar. Our deals are priced low to be a win for you. 30 to 60% of ARV and always a deep discount from current market prices (actives and sold comps). Directly to Your Inbox. House Heroes e-mails you the deals with all the info you need: photos, pricing, showing instructions, comps. Save Your Money & Time. Finding hot real estate deals is time consuming and expensive. Save countless hours and thousands of dollars by joining our buyer list. You focus on the deals and we focus on finding them. Completely free! No fees or costs. You don’t pay anything. Like our deal? Give us a call and let’s negotiate. If not, just wait for the next one! House Heroes sources you with real estate investments throughout Broward County, including Fort Lauderdale, Pembroke Pines, Hollywood, Miramar, Coral Springs, Pompano Beach, Davie, Sunrise, Plantation, Deerfield Beach, Lauderhill, Weston, Tamarac, Coconut Creek, Margate, Oakland Park, North Lauderdale, Hallandale Beach, Lauderdale Lakes, Cooper City, Dania Beach, Parkland, West Park, Wilton Manors, and Lighthouse Point. Are you saying “how can I find Broward County investment property”? Looking for fix-and-flip, rentals, and other real estate for sale in Fort Lauderdale? Want great deals on real estate and other investment properties? Ready to see the best wholesale deals in Broward around? You need to join our list! If you’re ready to scale up your investing, we want to bring your the deals. Just fill in the form below to get started!